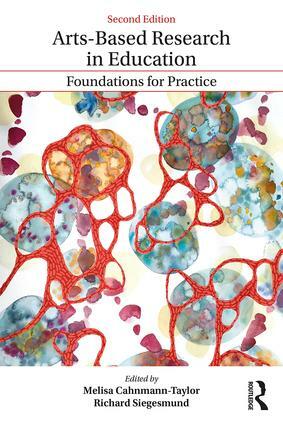 Presenting readers with definitions and examples of arts-based educational research, this text identifies tensions, questions, and models in the field and provides guidance for both beginning and more experienced practice. As arts-based research grows in prominence and popularity across education and the social sciences, the barriers between empirical, institutional, and artistic research diminish and new opportunities emerge for discussion, consideration, and reflection. This book responds to an ever increasing, global need to understand and navigate this evolving domain of research. Featuring a diverse range of contributors, this text weaves together critical essays about arts-based research in the literary, visual, and performing arts with examples of excellence in theory and practice. Additional focus on the historical and theoretical foundations of arts-based educational research to guide readers through development of the field since its inception. New voices and chapters on a variety of artistic genres, including established and emerging social science researchers and artists who act, sing, draw, and narrate findings. Extends and refines the concept of scholartistry, introduced in the first edition, to interrogate excellence in educational inquiry and artistic processes and products. Integrates and applies theoretical frameworks such as sociocultural theory, new materialsm, and critical pedagogy to create interdisciplinary connections. Expanded toolkit for scholartists to inspire creativity, questioning, and risk-taking in research and the arts. What Is an Artist-Teacher When Teaching Second Languages?